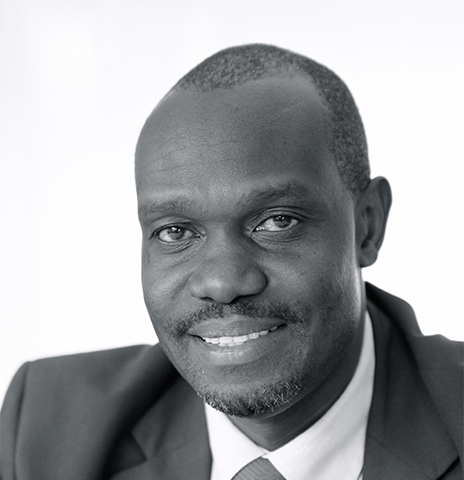 Dr . Ambrose O Talisuna completed his medical degree at Makerere University in 1992 and his Masters in Epidemiology from the London School of Hygiene and Tropical Medicine in 1996. He was awarded a PhD from the University of Antwerp and Institute of Tropical Medicine for his work on intensity of transmission and spread of antimalarial drug resistance in 2004. Between 1996 and 2011 Ambrose held senior positions within the Ugandan Ministry of Health, the Medicines for Malaria Venture (MMV) and was the field coordinator for the multi-country malaria clinical trial supported by the European & Developing Countries Clinical Trials Partnership (EDCTP). He received a senior fellowship in 2007 from EDCTP to conduct a capacity strengthening project for pharmacovigilance of antimalarial drugs in Africa. He sits on several international advisory boards including the international Ethical Review Board of Medecins Sans Frontieres, the World Health Organization and is a permanent member of the Global Fund's Technical Review Panel.His work on drug resistance surveillance over the last 15 years has shaped malaria treatment policy in Africa and was recognized in a special profile in The Lancet, 2010, 375:1428. Ambrose joined the MPH in 2011 as the Regional Scientific Director, World Wide Antimalaria Resistance Network (wWARN) for East Africa and leads this initiative to build the regional capacity and science behind the epidemiology of antimalarial drug resistance. Ambrose holds an appointment at the University of Oxford and heads the unit on Drug & Case-management surveillance unit of the Malaria Public Health Department.